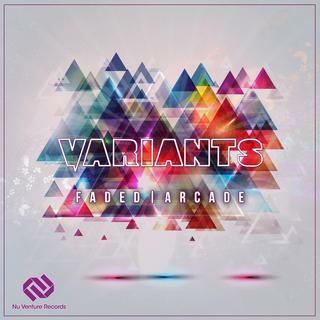 NVR059 from Nu Venture Records, welcomes the UK & Czech production collaborators Variants, as new release artists as they present their 2 tracks, Faded and Arcade. Opening the release and setting the tone, is Faded, showcasing a new approach as Variants take a different direction to the their distinctive trademark style. Beginning with an emotional and spine chilling string intro before a Liquid Drum & Bass beat, laden with commanding synthwave, emerges. As an experimental track it demonstrates progressive characteristics and a somber atmosphere exhibiting true raw emotions, but also producing contrasting positive and powerful vibes from the soothing strings, harmonic vocal samples and energetic drop. Influenced by the ability to persevere and not give up as there is always hope, a second chance, even when you think all your hopes and dreams have Faded. Arcade completes this release as a more aggressive track with high energy and serious dance floor prowess. Featuring an uplifting intro which seamlessly flows into a rolling drum & bass beat with deep bass, dominant synth melodies and ambient vocals. Inspired by nostalgic memories, the name Arcade stems from times reminiscing about video games played during a youthful period, in an era gone by.